nWave Pictures giant screen production “Alien Adventure” is a groundbreaking full-length digitally animated film; a venture into the realm of immersive 2D and 3D filmmaking. 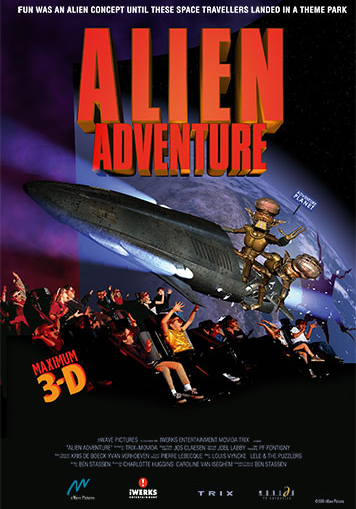 Unlike most giant screen films released to date which mix science and education with spectacular visuals, “Alien Adventure” is one of the first giant screen films aimed exclusively at the entertainment market. In this “theme park drama,” audiences follow a group of aliens as they explore a new hi-tech theme park and become immersed in a succession of eye-popping adventures.